Mr. Kellyanne Conway: Is he off his medication, on too many psychoactive drugs or is he having a protracted manic episode? White House counselor Kellyanne Conway defended President Trump after her boss labeled her husband George Conway a “total loser” for suggesting he has mental health issues. 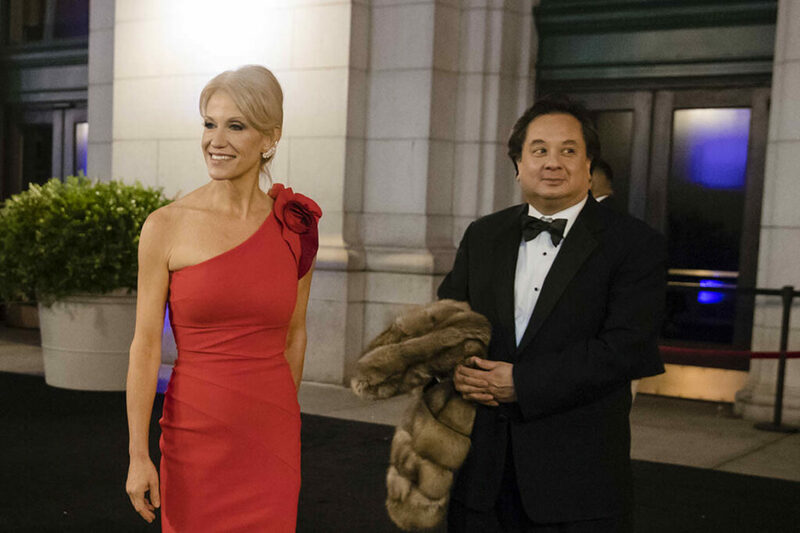 Although George Conway frequently criticizes Trump, Kellyanne Conway said the dispute between her husband and boss hasn’t impacted her job. George Conway revived his feud with Trump, suggesting the president may have a narcissistic personality disorder and antisocial personality disorder when he tweeted out excerpts from the American Psychiatric Association’s Diagnostic and Statistical Manual of Mental Disorders. Similarly, he said he thinks Trump’s mental state is deteriorating. Those swipes came after Trump spent much of the weekend tweeting, floating the idea of a federal investigation into “Saturday Night Live” and attacking the late Sen. John McCain. In an interview with the Washington Post, George Conway, a conservative lawyer, said he goes after Trump on Twitter so he doesn’t “end up screaming” at his wife. Trump, who first responded to George Conway’s tweets by calling him a “total loser,” punched back again on Wednesday, arguing George is jealous of his wife’s success in his administration. While Trump and his associates have suggested George Conway was either fired, quit, or rejected from a job at the Justice Department, he claims that he turned down a position at the agency heading the civil division because of Trump’s attacks on agency leaders and the firing of FBI Director James Comey in May 2017. Kellyanne Conway said Trump has always treated her with respect and that she’s only talked with Trump about the criticism against her husband “in passing.” She declined to comment to Politico on whether she hopes Trump discontinues his attacks on social media against her husband.